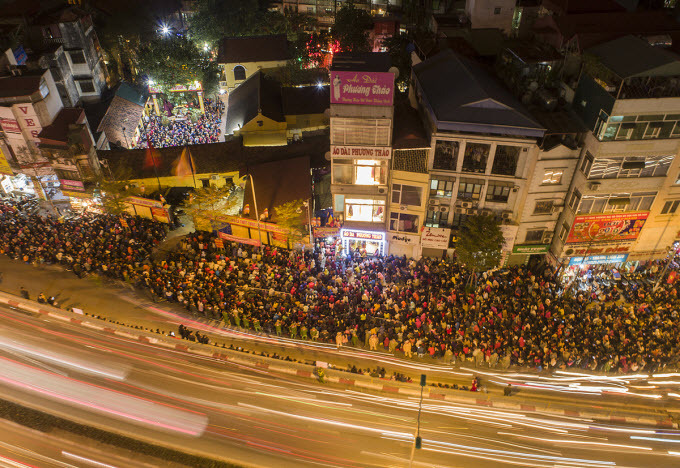 Phuc Khanh pagoda was packed two hours before the start of a traditional religious service. Many Vietnamese believe that their fate lies in the star designated for the year in question. In the first days of the lunar New Year, people pray that bad stars do not cause unfortunate events. 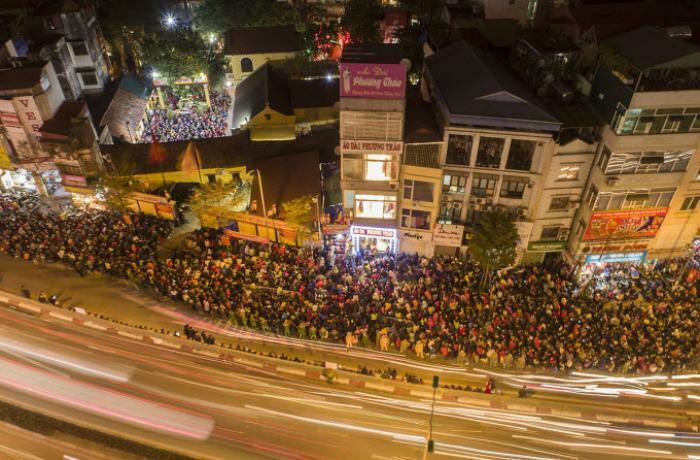 Hanoi (AsiaNews/Agencies) – Last night a crowd lined up in long queues outside the Phuc Khanh Pagoda in Hanoi’s Dong Da District to take part in a ritual believed to help avoid bad luck. The traditional ceremony is set to last until next week, drawing thousands of Buddhists waiting their turn to ward off bad luck and ask for peace and good luck in the lunar New Year. Many Vietnamese believe that their fate lies in the star designated for that year. Of nine stars, some are considered lucky; others are deemed the source of problems and the cause of troubles in daily life. For this reason, people visit pagodas in the first days of Tết (Vietnamese New Year) and pray that bad stars do not cause unfortunate events. The pagoda in Hanoi was packed two hours before the beginning of last night’s religious service. At around 6 pm, devout believers had taken up half the authorised space, from Tay Son Street to the foot of Nga Tu So flyover. Police officers were deployed in large numbers to ensure order during the ceremony. At the end of the service, people scrambled to ask for "luck" in the form of fruit and tiny cakes handed out by the pagoda. Similar prayer ceremonies will be performed in the pagoda next week when more participants are expected.